“Security on Sale.” Well, this is the invisible billboard that loads of gun owners carry with themselves in their house or outside when they take the security of their guns for granted. As ironic as it may sound, there has been a myriad of instances in the past where unauthorized handling of guns has led to injuries and even death. Therefore, the use and importance of gun safes cannot be undermined. After all, they are the ideal safe keeper for your firearms. If you are a news watcher, you might have already witnessed broadcasts about accidents due to mishandling of guns. It’s easy for younger members of the family to assume that a gun is just another toy. Gun safe can prevent casualties to almost zero because the safe will ensure that your guns are always out of reach from curious hands. 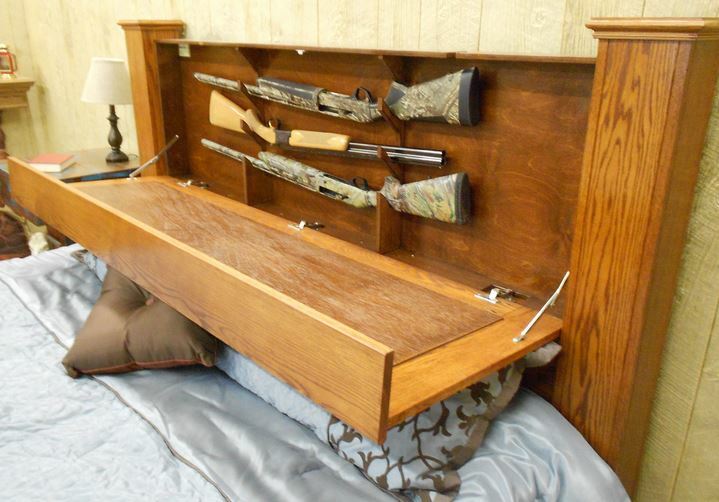 Furthermore, gun safes also allow instant and easy access to your guns whenever you need it the most. You won’t have to fiddle around. You will know exactly where it is to reach out to it during crucial moments of life. Remember, most of the cases of accidental shootings are a result of guns lying around or stored in easy to find places. The thing about hiding guns in drawers, cupboards, and other places is that they are easily accessible not just to you but others as well. Robbers are smart enough to know where to look. On the other hand, having a safe is one of the surest ways to reach to your gun before the robber gets to it or before the matter escalates. Basically, a safe can keep your firearms immune from burglars to a great extent, while still offering you instant access to it. Not to forget the fact that a sturdy gun safe can also offer protection from fire and water. In a nutshell, if you own a gun, it’s your responsibility to make sure that the gun is all secured and locked up. It needs to be out of reach of kids, burglars, and others who cannot handle the gun responsibly. Therefore, there is an absolute need for a gun safe to preserve, protect, and store one’s guns. At the end of the day, a gun is a lethal weapon and should be treated like one. Any negligence in its security can prove to be a question of life and death. If you are not ready to be in a messy situation, it’s better to use a gun safe to be safe than to be sorry down the road. So, read some reviews and choose the best gun safe for your needs. Previous Article Is it safe that many people own guns in US? Next Article Is it safe to have a gun in a house with children? That is a good point that accidental shootings mainly happen when guns are left out. That is something that I would want to avoid if I could do so. Maybe I should get a gun safe to keep my guns and family safe.